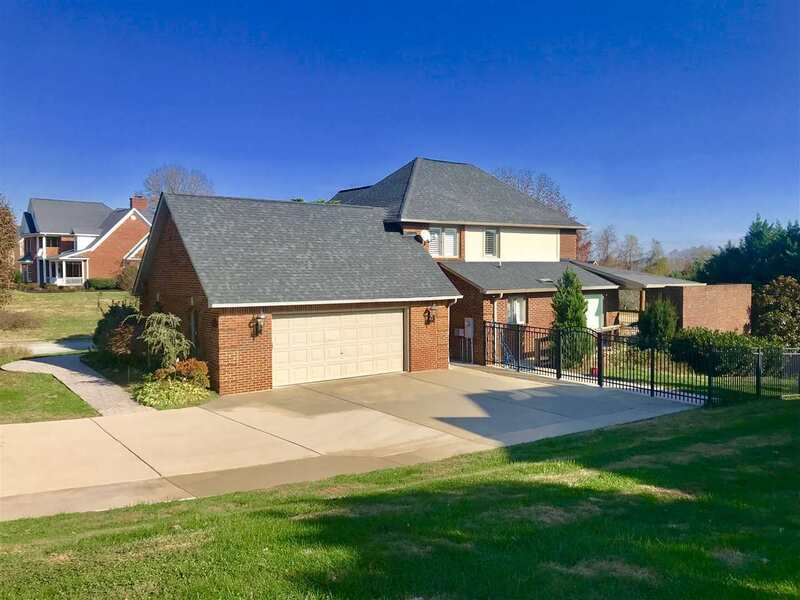 Custom all brick home situated in a quiet subdivision and conveniently located just minutes from everything! This 4 Bed 3.5 bath home has been crafted and updated entirely with luxury in mind. Gorgeous foyer that opens up to a large, vaulted-ceiling living room with a granite fireplace and beautiful hardwood floors that continue throughout the house. Gorgeous Italian marbled tile also located throughout the home. The upscale and gourmet kitchen includes plenty of hardwood cabinets, granite counter tops, wet bar with 46-bottle wine fridge, large walk-in pantry and all stainless steel appliances (including a 6-gas burner commercial stove & a steamer oven). The master bedroom suite is conveniently located on the main level and offers 2 large walk-in closets. The master bath includes many luxuries such as heated Travertine floors, large walk-in shower, built-in towel warmer, and granite countertops. Full finished basement located downstairs with a full bath. There is also a workout area/playroom, separate workshop, and a 40ft second garage that can be used to store a boat. Sit out on the deck and enjoy the privacy this home has to offer. Large fenced in backyard, gas burner fireplace, Fire Magic Echelon grill and a wired Bose sound system all make the outside area ideal for entertaining. This home will NOT last long, schedule a showing today! !